For Delphi common rail diesel injectors (EJBR04201D). 1x Plastic Delphi Leak Off Connector. 2 Way Back Leak Off Connector. To Fit diesel injectors with the following part numbers. Engine Codes. INJECTOR LEAK OFF KIT. 1 x 1m Leak Off Pipe. 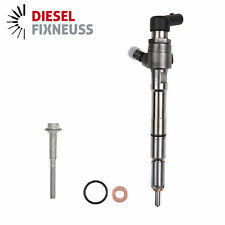 TO FIT ALL BOSCH INJECTORS WITH THE COMMON RAIL DIESEL ENGINE. 1 x 90° 'L' Connector Inc. Rubber O'Ring. 5 x 180° 'T' Connector Inc. Rubber O'Rings. KIT INCLUDES . Oil leak around the Vanos unit?. Oil leaking from the Vanos solenoids?. N40 N42 N46 N45. Our improved material Viton O–Rings are far better suited for the application, poor quality OEM seals will only fail again, our seals are designed to last the life of the vehicle and will cure the leaks permanently. Bosch Injector Leak Off Connector Kit x 5 Cylinder. To suit Bosch common rail injectors. 1 x 90 Degree 'L' Connector. Kit includes is the right one for your vehicle. View Our Categories. VAUXHALL CORSA 1.3 CDTI. CP1 PUMP SEAL REPAIR KIT. BOSCH COMMON RAIL. 0 445 020 040 / 0 445 010 009 / 0 445 010 014 / 0 445 010 019. 0 445 010 268 / 0 445 010 283 / 0 445 020 002 / 0 445 020 006. 0 445 010 13 / 0 445 010 16 / 0 445 010 163 / 0 445 010 164. FOR OPEL CORSA 1.3 CDTi. COMMON RAIL INJECTOR WASHER. TO FIT BOSCH COMMON RAIL INJECTOR 0 445 110 183. Citroen Berlingo, C3/4/5, Dispatch, Xsara Picasso 2002-. Kit fits the following vehicles with 1.6 DV6 engine Peugeot 207, 307, 407, Expert, Partner 2004-. 1.6 TDCi/HDi Injector Seal Kit. 4x Injector Seals. Fits : FORD MONDEO 2.0 TDCi. TO FIT DELPHI COMMON RAIL INJECTOR COMMON RAIL INJECTOR WASHER. PART NO A20038. FAR BETTER QUALITY THAN THE GENUINE FLUVAL ITEM WHICH IS MADE FROM VERY POOR QUALITY RUBBER. 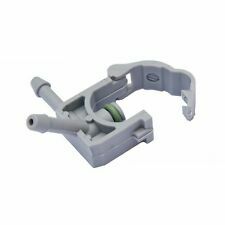 OUR ITEM IS MANUFACTURED TO BRITISH STANDARDS IN THE UK AND MADE FROM NBR70 A FAR BETTER MATERIAL THAN THE GENUINE ITEM. Mondeo 1.8 TDCi 07 -. Ford Focus 1.8 TDCi 05 -. Head Bolts. PEUGEOT BOXER 2011 ON. LAND ROVER DEFENDER 2011 ON. FORD RANGER 2011 ON. Bonnet Latch. CITROEN RELAY 2011 ON. Brake Master Cylinders. Jack Handles. 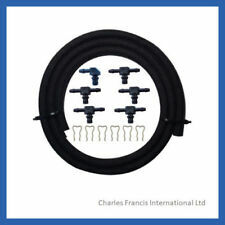 Ford Transit Connect 1.8 TDCi Delphi Diesel Injector Washers / Seals x 4. Fed up with your car sounding like a truck? These simple but efficient seals will stop it! Simply remove the injectors, clean off any burnt on fuel, place the seal on the injector and tighten. Please ignore the car compatibility list. If these do not fit your car, we'll give you your money back. Condition is New. Application:VW Golf 1.6 Tdi Engine Codes: CAYB -CAYC. 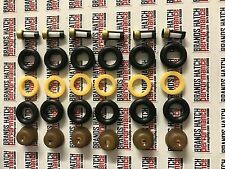 VW Golf Common Rail Injector Washers x 4Body Seal x 4. 4 x Injector Body Seal. Thickness: 2.5mm. All our parts are id stamped before we send them. Genuine Flag Diesel Fuel Pump Repair Kit / Seals Kit F01M101455 / F 01M 101 454 / 80 1176. Common Rail Injectors. Advance Actuators. Vehicle compatibility. Pressure Regulators. Fuel Filters. Stop Solenoids. These are securing clip for your leak-off connector that is based in the top of your Bosch common rail diesel injector. Common Rail Leak Off Connector Clip / Securing Pin for Bosch. 1 x Leak off Clip (X11-800-001-002Z). View Our Categories. 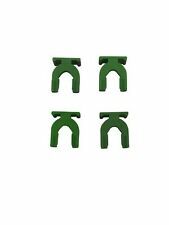 4 x Injector Copper Washer Seals O-Ring for PEUGEOT / CITROEN HDI DV6. C2, C3, C4, C5, Picasso. Citroen Berlingo 2005-2015. Citroen C2 2005-2009. Citroen C4 2006-2011. Citroen C4 Aircross 2012-2015. Citroen C4 Grand Picasso 2013-2015. Application:VW Caddy 1.6 Tdi. VW Caddy Common Rail Injector Washers x 4. All our parts are id stamped before we send them. ITEM NUMBER C426. VACUUM HOSE. TURBO BOOST HOSE. COTTON OVERBRAID HOSE SUITABLE FOR DIESEL BLEED OFF HOSE etc. 1 x Diesel Injector Leak Off Connector 135 Degree. to fit Diesel Injectors in vehicles with the following engine codes. Suitable For Almost All Diesel Engines. Ford Focus 1.8 TDCi 05 -. Part of the fix for Pajero, Shogun, Delica, poor starting. This can make the world of difference. Free generic fuel filter included. TO FIT BOSCH COMMON RAIL INJECTOR : (0445.). COMMON RAIL INJECTOR WASHER. THICKNESS : 1.5 mm. SET OF 4 INJECTION SEAL COPPER WASHERS. Wiper Blades & Linkages. Wiper Switches. Fuel Filler Flap and Housing. 2.2 AND 2.4 TDCI. 2006 ON MODELS. Bumper Trims. Bumper Blanks. 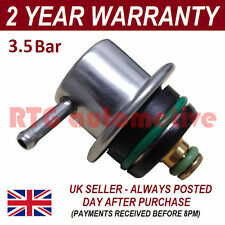 For Regulator Part Number 0 281 002 480 / MAV000040. Fuel Pump Pressure regulator Seal KitBosch CP1. Part Number F01M100278.